Calculate your total tax payments on line 72. 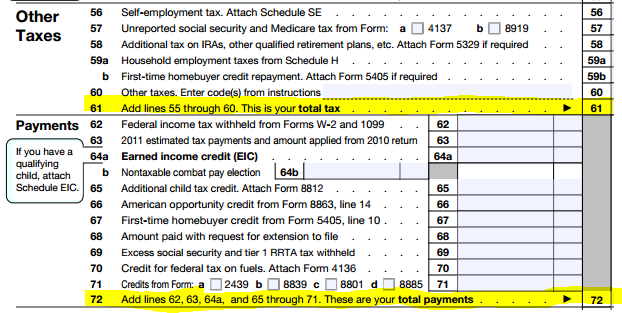 Tax payments include all income Â tax withheld by your employer on line 62 (check your W-2 or 1099 forms), estimated tax payments on line 63, and any tax credits you may qualify for. The total on line 72 is your total tax paid.